If you are fifteen years old, is blessed to live some kind of privileged life and is passionate about the sport of tennis, what will one of your dreams/goals be? Well, three years ago, then fifteen-year-old Stephan Lhuillier thought of creating a program with the objective of providing tennis trainers with the opportunity of improving their skills thru workshops thereby resulting to their being able to book more clients which allows them to earn more. Such a noble act for a teener right? 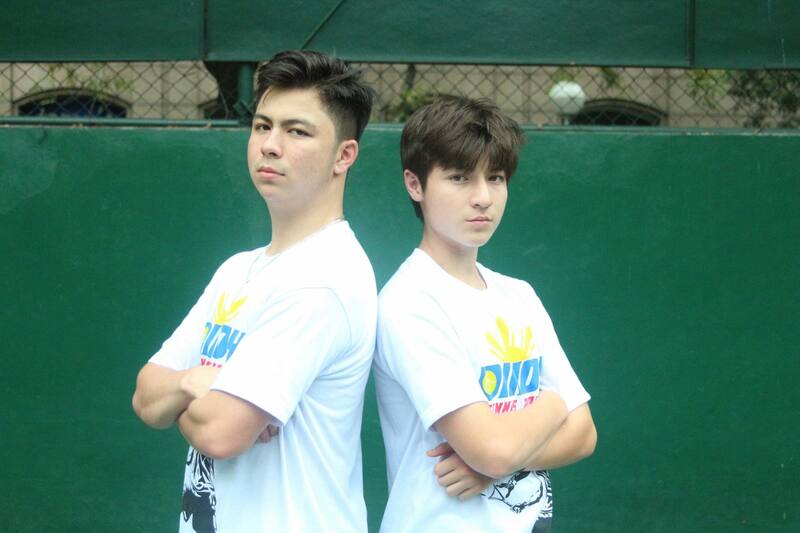 This program, known as the Pinoy Tennis Trainers (PTT), though originally the brainchild of now 18-year-old Stephan, have recently taken in younger brother Sebastien who is set to take the front seat as Stephan takes a temporarily “indirect role” in managing PTT as he leaves for university in 2019. Stephan and Sebastien, tennis enthusiasts and sons of Cebuana Lhuillier President and CEO Jean Henri Lhuillier and Olympian Bea Lucero-Lhuillier, met with us bloggers a week ago at the Makati Sports Club to talk about PTT. 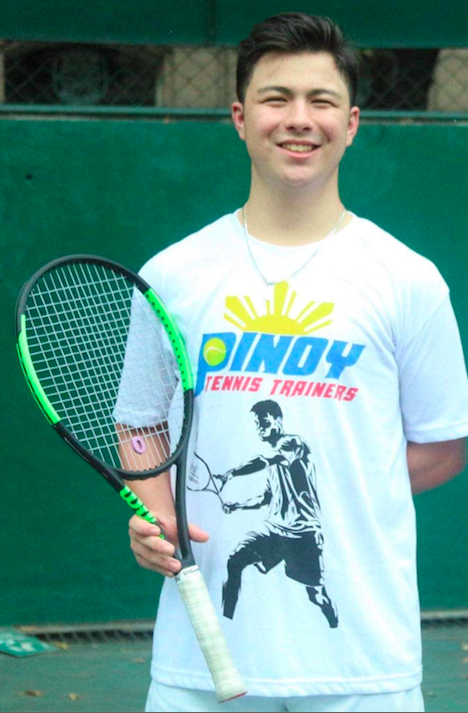 Sebastien who will formally take the lead in PTT next year is a well-known tennis player in the local circuit and who represented the country in various meets abroad. “I am thankful to be given this opportunity to serve on a leadership capacity for PTT for 2019. For the past three years, my brother has given opportunities to local trainers by introducing them to level 1 courses. My goal is to introduce new level 2 courses, with the help of Coach Roland and also actively pursue international tennis training for our top graduates,” said Sebastien. A program that was built following a chance encounter of Stephan with a local ball boy who shared that his usual day rate is Php80, the PTT’s third leg which consists of a two-day tennis workshop for tennis trainers was just concluded last week. It was held at the Makati Sports Club and brought together 40 of the country’s best local tennis trainers representing schools and clubs from all over Metro Manila and Central Luzon. 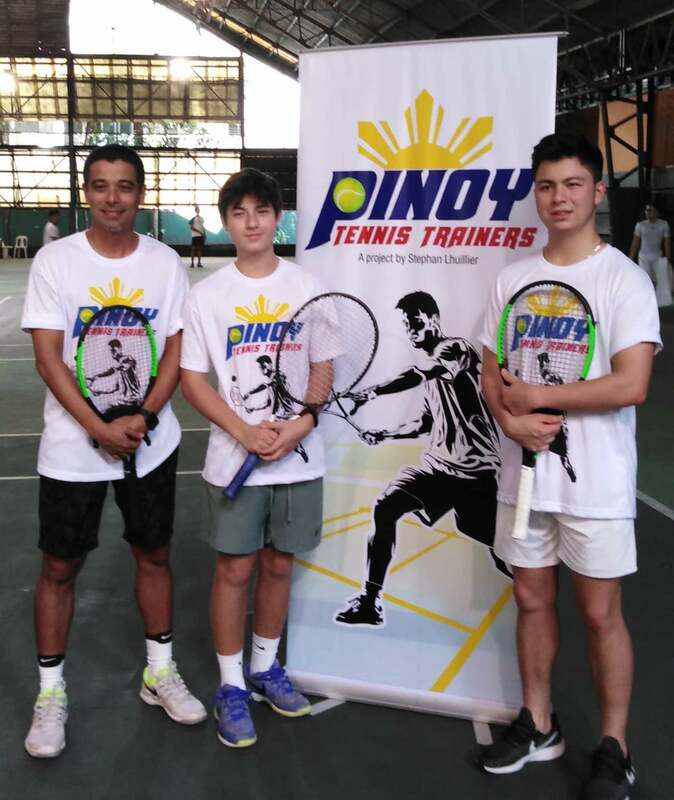 It is also worth noting that the program was handled by Coach Roland Kraut, the only ITF Level 3 tennis coach in the Philippines, together with Stephan and Sebastien. “I am proud of what we have accomplished from the time we launched Happiest Pinoy more than three years ago. I am elated to hear that some of our graduates are now earning high-paying jobs or have moved on to become coaches of their respective clubs and local teams. That’s the real purpose of PTT, to create better opportunities for the hardworking men of our local tennis community,” said Stephan Lhuillier. Since it was founded, PTT was able to conduct 13 training sessions across the country and produced close to 600 graduates. Armed with their PTT certification, the trainers were able to earn more with the higher level of training they received. Top PTT graduates such as Trudy Amoranto and JR Moreno were also sent to Thailand to participate in the ITF Level 1 Coaches course. Want to be able to share and help too? The program also has what they call the “Adopt-A-Racket Program” which allows tennis enthusiasts, racket companies, national players or even non-tennis players, to donate tennis rackers to PTT. These rackets are then being given as incentives to the graduates who performed well during the training. Stephan and Sebastien, you truly are your parents’ children. Kudos to both of you and we wish that the PTT prosper more and grow more! Cheers to you and PTT!